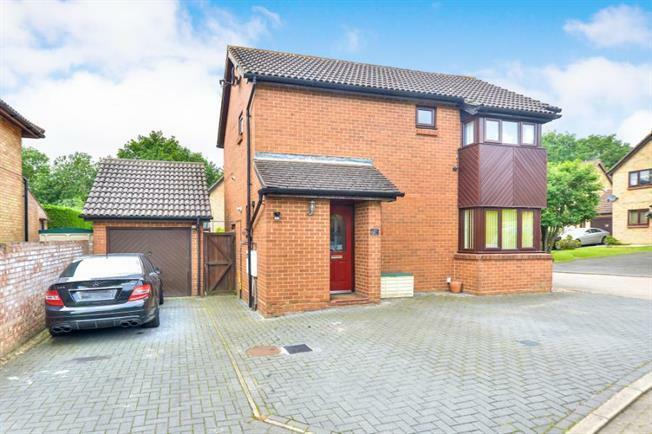 4 Bedroom Detached House For Sale in Milton Keynes for Offers in excess of £385,000. Taylors estate agents are delighted to offer for sale this fantastic four bedroom detached family home situated within the popular Crownhill area. Boasting a large two storey extension the accommodation comprises; entrance hall, downstairs cloakroom, extended lounge diner with patio doors leading to rear garden,and a lovely fitted kitchen. First floor landing, four bedrooms, en suite to master and a family bathroom. Outside there is ample off road parking and an encloused rear garden. Crownhill is a very popular location on the West of Milton Keynes, benefitting from excellent school catchments, local ammenities and is a short distance from CMK rail station with access to London in just over 30 minutes. Internal viewing is highly reccomended to fully appreciate what this property has to offer.